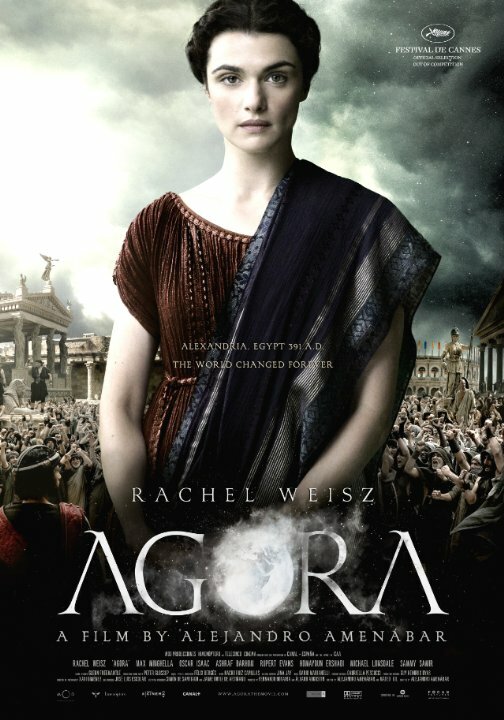 Plot: Tells the story of astronomer-philosopher Hypatia of Alexandria (Weisz) and her relationship with her slave Davus (Minghella), who is torn between his love for his mistress and the possibility of gaining his freedom by joining the rising tide of Christianity. Religion and philosophy, along with some history - unlike most period films, this is based in fact. It takes a harsh view of Christianity, so avoid showing this to ultra-conservatives, but it worked for me. It's not completely accurate, but compared to most liberties films take, it's much better. A bit slow, but characters help even out the flaws. No posts have been made on this movie yet. Be the first to start talking about Agora!